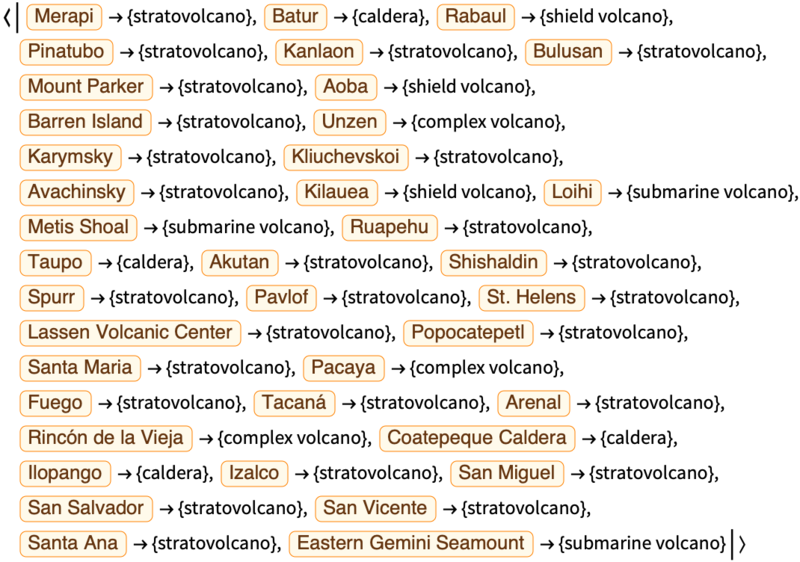 For general access to the Wolfram Knowledgebase, use entities of type Volcano instead of VolcanoData. gives the value of the specified property for the volcano entity. gives a list of property values for the specified volcano entities. VolcanoData gives a list of all volcano entities. 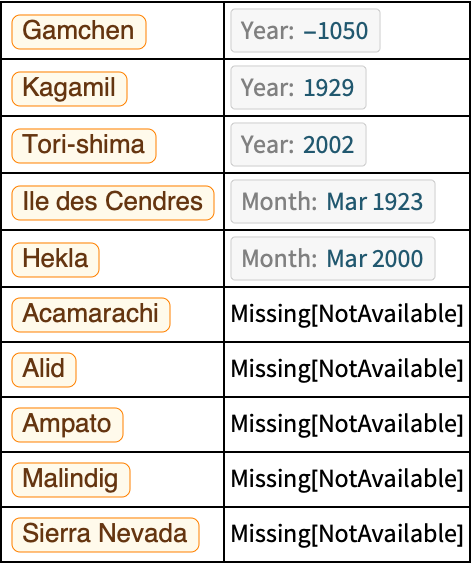 VolcanoData["Properties"] gives a list of available properties. The specified entity in VolcanoData can be an Entity, EntityClass, entity canonical name, or list thereof.